Lex Bishop never planned to sleep with Freddie, but now that he has, he’s obsessed with her. Obsession is now available for your reading pleasure. Billionaire Lex Bishop has had a thing for Freddie Latham for so long that he can’t even remember when it started. She’s everything he wants in a woman; gorgeous, generous, warm and she makes him smile every time he sees her. Unfortunately, she’s also his best friend’s little sister a.k.a. seriously off limits. He can’t have her. That is until heartbreak and drinking together leads to one unforgettable night of passion. Lex has an empire to run and a friendship to keep… so why can’t he get Freddie off his mind. She’s the one woman he shouldn’t want… so why can’t he forget how right she feels in his bed? Or how much he wants her there, not just for one night but forever? Being together might be against the rules… but being apart is impossible. PS: Obsession is priced at $2.99. It is also available for borrowing through Kindle Unlimited. This entry was posted in New Release and tagged alpha male, bad boy romance, best-friend's little sister, billionaire romance, bwwm romance, contemporary romance, forbidden romance, Interracial Romance, linda verji, love-triangle romance, multicultural love, older brother's best-friend romance, romantic comedy on March 6, 2019 by Linda Verji. Yes, yes, I know. You’re all wondering where my next book is? Have I quit the writing game? No! No, I haven’t. I’m just really lazy these days. Also there are so many ideas swimming in my head that I tend to get distracted really easily. But this month, I promise I will drop something new. So what’s this something new? It’s called Obsession. If you follow me on Wattpad, then you already know about this book and have been reading along as I write. The Male Lead of the book is Lex Bishop. He’s kind of a recluse (okay, strike the recluse). He doesn’t speak much and tends to fade into the background. In fact it’s a wonder that he even managed to make 4 friends (Ari, Michael, Red and Logan). But underneath all that silence is a man-in-love. Which is okay, except for the fact that the person he’s in love with is Ari’s younger sister, Freddie. Drama! Are you ready for it? The complete book is coming soon, real soon. Not even two weeks from now. Keep an eye out. If you’d like to know as soon as it drops, don’t forget to join my book club. It’s really easy, just click the button below and it will take you to my sign up form. 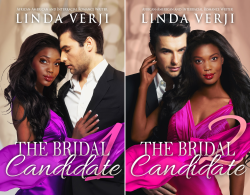 This entry was posted in What I'm Writing and tagged behind the scenes, bwwm romance, Interracial Romance, obsession, production notes on February 10, 2019 by Linda Verji. Okay, you already know that The Games We Play is published, right? You don’t? What? Stop playing with me. I know you already have it. But if you don’t, then get it HERE. You’d think that by now I’d have stopped planning my books down to the last chapter in advance. After all, things never ever go the way I plan and my characters are ridiculously mischievous. But alas, I am a planner. Anywho, let’s pull back the curtains and take a look at what didn’t make into the book. lol. I think I just heard you groan. Yes, this was going the secret baby route. The original manuscript had April getting way earlier. Also she was going to hide the pregnancy from Roman. Of course that would have racked up the drama index, but after thinking about it I decided that Roman had been punished enough – throwing in a secret baby would have been cruel. I’m cruel but not that cruel. Chills. Fine, isn’t he? While Roman’s looks match Ryan McPartlin, his character is close to Jason Pitts from The Game (as played by Coby Bell). I haven’t watched The Game in a minute but from what I remember, Jason was extremely frugal. Roman isn’t quite as frugal but he’s close. The book wasn’t meant to trash thriftiness, but it was more of a caution that you shouldn’t let money ruin your relationship. If you read Yes, Chef, then you know how Snow was snatched right from under Charlie’s nose, as in he was sleeping on the job and Greyson snuck in. So I couldn’t help asking myself; what if Charlie had realized Snow’s value earlier, before Greyson came into the picture, would he have had a chance? Also, what if Snow was still in love with him, would they have made it? Roman and April were born from those questions. If you read the Wattpad version then you know that initially, April had eight other siblings. But I changed it. Why? Laziness. I’m sorry – eight siblings? And I’d have to say something about all of them in the book? Phew! I got tired. I know it doesn’t exactly match the tone of TGWP, but it’s pretty close to how Roman felt when he lost April. Also Labrinth knows how to pull those heartstrings. I felt bad for April, I really didn’t. When strangers talk smack about you, you can brush it off, but when it’s someone who you really like and who you often ride for, it stings. Can you just imagine yourself in her position? How she managed to stop herself from storming into that room still remains a mystery. Is there something you really want to know about The Games We Play? Ask way. Drop a comment below this post and I’ll answer it ASAP. 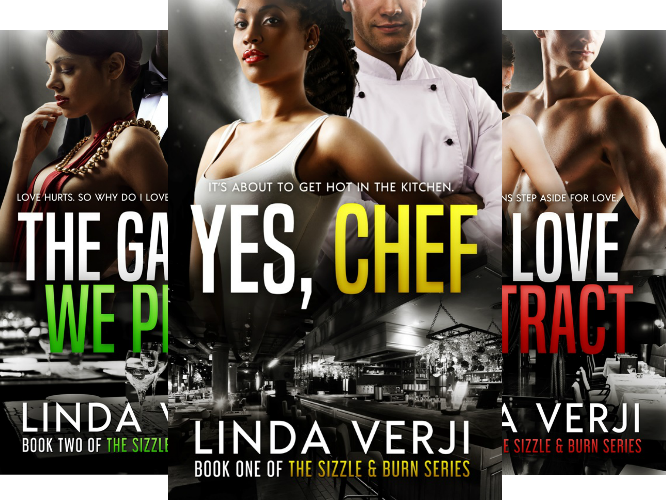 This entry was posted in Behind The Scenes, Uncategorized and tagged behind the scenes, book updates, bwwm romance, Interracial Romance, production notes, the games we play on June 18, 2017 by Linda Verji.